The biggest and most awaited extravaganza. 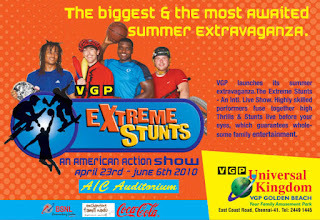 An American action show April 23 - June 6 2010. Live show. Highly skilled performers. Went and saw it. Was Awesome. I have never seen stunts like this. The air condition was also effective.